Jane Eyre is such a lovely book; I’ve really enjoyed taking the entire year to read it! I think it will be a great week of reading! What are you planning to read this week? Have you read Jane Eyre or Ape House? This entry was posted in books and tagged Charlotte Bronte, Sara Gruen, weekly reads. Bookmark the permalink. I love Jane Eyre. 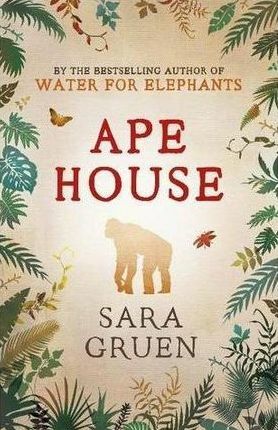 I listened to the audio of Water for Elephants, but haven’t picked up Ape House yet. I definitely understand the love for Jane Eyre. It’s really good. I really liked Water for Elephants, so I’m hoping Ape House holds up to the comparison test. I loved Jane Eyre too, I really hope to re-read it one day soon as it’s been too long. I don’t usually re-read books, but I think I could get behind reading this again in a couple years. Thanks for commenting! You should give Water for Elephants a try. It really was a good book and started my little obsession with circuses. Love that Ape House cover! I have a different version. I hope you enjoy it and I hope you have a great week of reading!